During my recent stay at E&O Residences, right in the heart of Kuala Lumpur, I managed to pay a visit to Delicious @ Bangsar Village II to check out their forth coming “Inspired by Tapas” promotion as well as new items in their menu. The “Inspired by Tapas” menu would cover 10 small dishes created by Delicious’ CEO, Steve Allen, and Executive Chef, Sandy Alan Rowe. 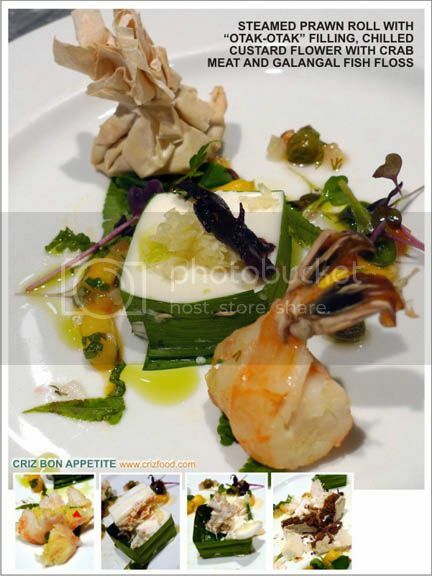 The menu would run from 4 January 2016 until 31 March 2016. The price quoted within would be in nett price, which is inclusive of 6% GST and service charge free. 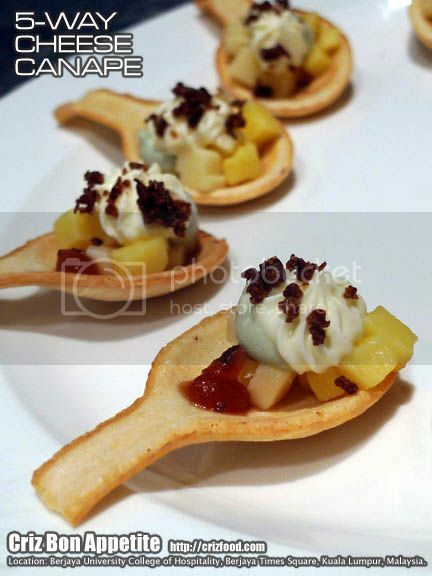 Let’s have a peek at what would be in store for you in the “Inspired by Tapas” promotion in January 2016. Firstly, you would get to try out their Baked Pumpkin with Grilled Prawns (RM17.50). I loved this dish a lot as the aromatic and earthy flavors from the baked pumpkin, combined with some arugula salads and flavors from the grilled prawn, was palatable to my liking. At least, it was less sinful to my healthy diet. Next on the list was the Baked Chicken Thigh with Romesco Sauce and Toasted Almonds (RM15.50). Though the baked chicken thigh was nothing much to shout about, I would personally think that it needed a bit more herbs to pep up the flavors. However, I liked the complement of the romesco sauce as it had that earthly, nutty and yet garlicky tomato sweetness to my liking. It was a bonus to have some additional toasted almond flakes on the dish. The next dish reminded me of sauteed mushrooms on bruschetta. It was their Creamed Garlic Mushrooms with Croutons and Poached Egg (RM13.00). 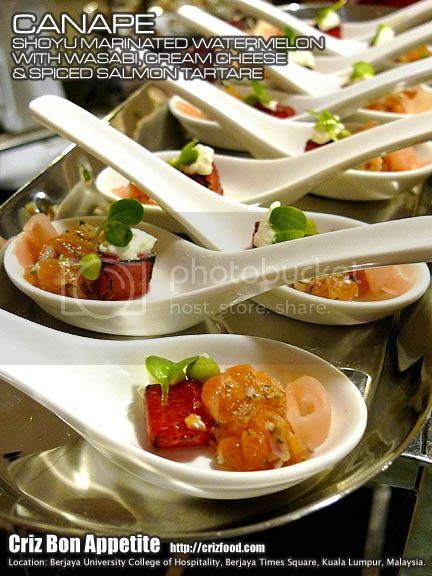 Immediately, I fell in love with this dish as I loved how the kitchen had presented the dish in a different style. The oozy greatness of the poached egg added some extra creaminess to the dish. However, it would be great if there were some added greens to go with the dish as it could be quite surfeit to drown in all the creaminess. Malaysians love satays and the next dish was something that caught everyone yearning for more. It was their Grilled Beef Skewers (RM18.00), served with tomatoes, red onions and peppers on a bed of garlic fried potatoes. The nice marinate and the smoky flavors on the tender yet juicy skews of beef chunks were heavenly. The next dish in the list was their Black Cod with Capsicum Sauce (RM18.00). Somehow, this dish did not impress me as the flesh was not as smooth and fatty as that of a Pacific cod. Anyway, black cod is not a cod fish as named but more towards the texture of halibut which is firmer and flaky. Its actual name is sablefish. 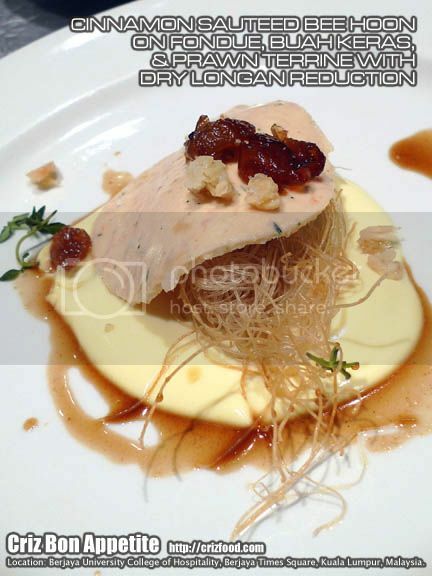 Moreover, I personally felt that the taste from sauce overwhelmed the true flavors of the fish. On top of the tapas inspired dishes, there are some new items added into the menu such as the Crunchy Chicken Wings with Sesame and Seaweed Crust (RM18.00), served with mustard mayonnaise. We all loved the wings as each bite was pepped with flavors. With a little dip into the provided condiment, it was the perfect dish to sink your teeth onto. Who would have thought that such basic item such as the Pumpkin Risotto Balls (RM13.50) would have created a list of followers? The pumpkin, mushroom and rosemary infused risotto balls, deep fried to perfection and served with some pesto mayonnaise was something out of the world. The dish was quite a nice snack to my liking. The kitchen had ingeniously created a Malaysian salad with their Roasted Pumpkin, Coconut, Beef Serunding Salad with Papaya (RM26.50) and dressed in spicy lime dressing. 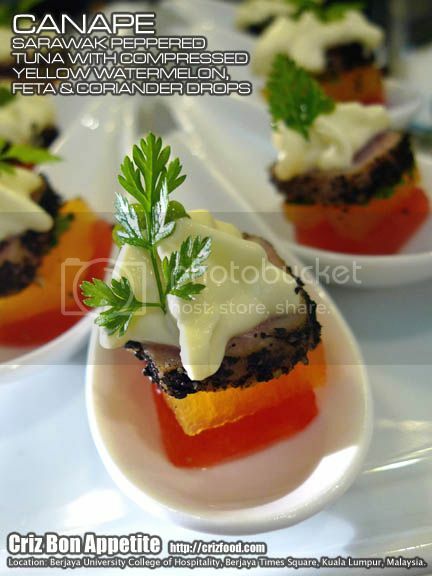 It was quite a playful concoction with the usage of the mildly spiced up coconut milk infused beef floss. It would be great too if some cubes of ketupat were to be added in place of the papaya slices as they do go well with any meat serunding (floss). For pasta lovers, you could try out their Carbonara with Seaweed Egg (RM28.00) in parmesan cream with Mushrooms with the option of either beef bacon or shredded chicken. I had the beef bacon version and it was great as there were also some peels of parmesan cheese being added in as garnish. For a healthier bite, you might want to try out their Wild Mushroom Wrap with Cherry Tomatoes, Parmesan Cheese, Cucumber and Pine Nuts (RM26.50). Of course, they would be some French fries to keep you all filled up. There would be some new and old desserts to end your meal. If you have a big appetite for desserts after your meal, you should try out their Macadamia & Salted Caramel Cheesecake Sundae (RM17.50). The portion was humongous. I would advise you to share out between two persons. They do have Chocolate & Raisons Cheesecake (RM15.00) too. 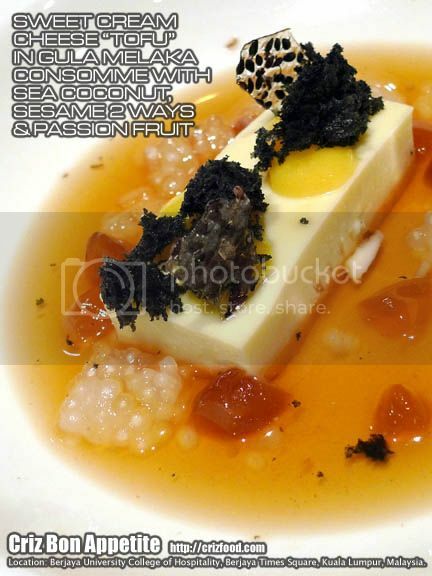 If you feel that you would like to consume your dessert at a slower pace without having the ice cream melting up so fast, just go for their Macadamia & Salted Caramel Cheesecake (RM15.00). It’s basically the same thing minus the added ice cream as per the sundae. As for me, I would always love something sour to wash down all the meaty stuff after a hearty meal. I went for their Lemon Meringue Pie (RM15.00). As for beverages, they do have some new drinks too such as the Rose Lychee Frostie (RM12.50) and Apple, Mint & Lemon Frostie (RM13.50). Other than iced or chilled beverages, you could always try out their Hot Latte (RM13.00) or their Ronnefeldt Tea Selections (RM9.00 – English Breakfast, Chamomile, Earl Grey, Peppermint or Jasmine). In addition to all the new menu items, the eatery had started to roll out a Monday & Tuesday Specials night of “BUY 1 FREE 1” dishes. In December, Asian Mains get the spotlight followed in January with Sandwiches, Burgers & Wraps. Available from 3.00pm every Monday and Tuesday, the guests can choose any two of these dishes and they receive the lower priced item absolutely free. Popular amongst students and young professionals, we hope everyone can enjoy these value added specials in difficult times. Overall, the chefs had done some great jobs in revamping the menu as I do find some of the new dishes to be rather innovative, healthy and flavorful. I do hope to find other new creations in the near future. Though Delicious @ Bangsar Village II is located within the ground floor of the complex, it’s actually situated at the junction of Jalan Telawi 2 and Jalan Telawi 4, directly opposite the Balai Polis Bangsar or Restoran Devi’s. It’s not hard to reach there even if you are not locals. You can just key in the GPS via WAZE app or just grab a taxi. 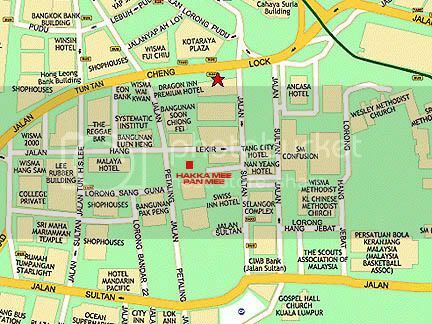 Address: Lot GF-1, Ground Floor, Bangsar Village II, 2 Jalan Telawi 1, 59100 Kuala Lumpur, Malaysia. About The Delicious Group: Named after the signature Delicious Cafe, the Delicious Group now consists of nine F&B outlets operating under three separate F&B entities. 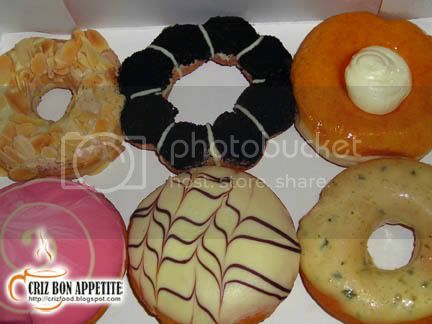 The six Delicious Cafes are located in prime spots across the Klang Valley (St Mary Place, 1 Utama, Bangsar Village II, Mid Valley, Sunway Pyramid and Setia City Mall), Simplyd (The fast casual café concept has three outlets located in Nu Sentral Mall, The Curve and Avenue K) as well as a strong catering division for all types of events, weddings and parties. 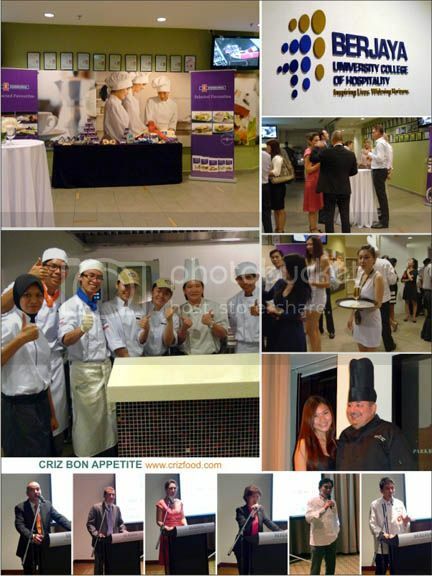 The Delicious Group is 100% owned by the Eastern & Oriental Group. Of all the Delicious Group eateries, only Delicious @ St. Mary Place serves buffet breakfast as early as 7.00am until 10.30am daily. 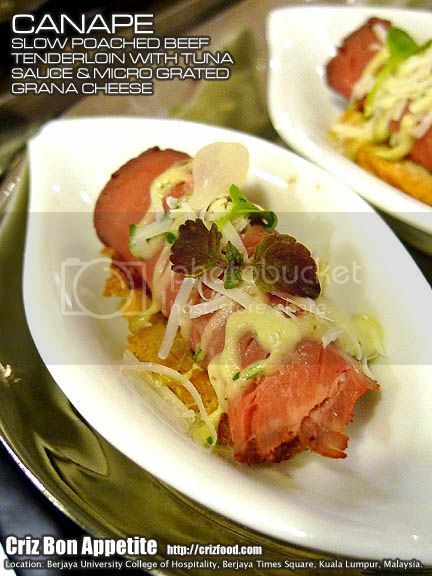 Basically, the breakfast caters to the needs of the occupants at St. Mary Residences and the guests at E&O Residences. It would be at RM37.50/pax for walk-ins as well. The selections could quite international with spreads ranging from noodles soup, porridge with condiments, egg of your choice, grilled sausages, juices, cereal, waffles with sauce, grilled tomatoes with cheese, hash brown, baked beans, sauteed mushrooms, fried noodles, nasi lemak with condiments, various bread with spreads, croissants, Danish pastries, muffins, yoghurt and fresh fruit cuts. Here are some of items I had tried out during my stay at E&O Residences earlier this month. Overall, for the price paid, I would consider the spreads to be quite adequate for my breakfast. However, it would be great if the eatery could serve at least one salad dish to cater to those who are healthy conscious. Delicious @ St. Mary Place is located right outside the St. Mary Residences and E&O Residences along Jalan Tengah (off Jalan Sultan Ismail). If you are driving from Imbi towards KL Ciry Park via Jalan Sultan Ismail, slow down as you reach Wisma Genting. Do watch out for a small hidden lane on your left. Turn left into Jalan Tengah and you would see Delicious @ St. Mary Place on your right just after the entrance to the residences. If you are unsure, just key in the GPS (3.151752, 101.707942) into your WAZE app and you should have no problem at all to find the venue. Address: G-7 & G-8 Tower A, St Mary Place, No. 1, Jalan Tengah, Off Jalan Sultan Ismail, 50250 Kuala Lumpur, Malaysia. When you are stuck near Pudu Sentral, Kuala Lumpur at 4.00am in the morning while waiting for the LRT to start its operation at 6.00am, what would you do? Of course, I’ll try to kill time. It got kind of boring after having spent most of my time at a nearby Nasi Kandar shop or at McDonald’s each time I was down there by express bus. During my recent transit via Kuala Lumpur to attend the “A Date with Bloggers in Melaka 2012” event, a group of us decided to check out the Petaling Street area for early breakfast instead. We stumbled upon a porridge shop named Petaling Street Famous Porridge which has been in operation since 1949. It was weird that there was no proper signage or name on this shop after being in existence for over 6 decades. 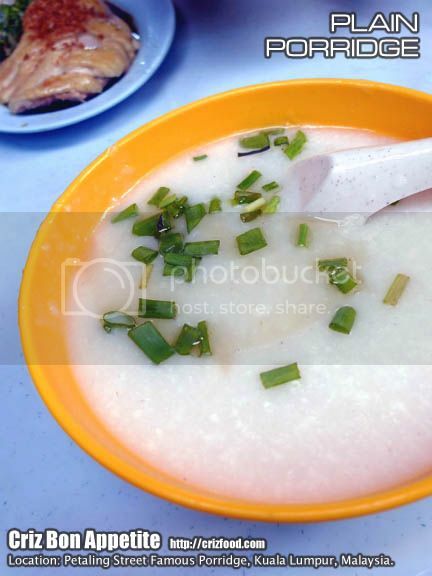 Through some clarifications with my KL friends, it was once called Hon Kee Famous Porridge and the contact number still remained the same. Why the sudden change in name? I won’t know for sure. We practically ordered almost all the dishes available since our next meal would be at around 2.00pm at Julie’s, Alor Gajah, Malacca. 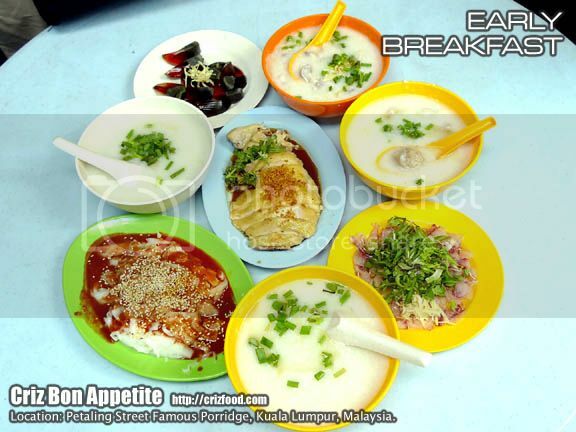 You can start by ordering the Plain Porridge (RM2.50nett) and add on whatever main ingredients you would like to have. The porridge was smooth and mushy the way I like it. It had some chopped spring onions with a light dash of sesame oil. The most ordered item as recommended by the shop owner (Vivian) would be the Ikan Haruan (Snakehead Murrel/線鱧/綫鱧/鱧魚/生魚) slices at RM6.00nett per set. No doubt the fish fillet were sliced paper thinly to enable them to be cooked fast in the porridge, the fillet lacked the bite. Somehow, they dissolved rather quickly within in the bowl of porridge upon a few stirrings. Moreover, the few dashes of sesame oil added in did not boost up the fragrance in the dish as I would have expected. Now I know why KL people love to shop for sesame oil in Penang especially from Ghee Hiang. You can also order the fish slices separately to add in your porridge or to share some out but you have to stir them into your porridge upon serving to cook them well. Please take note that the intense heat within the porridge would last not more than 10 minutes. 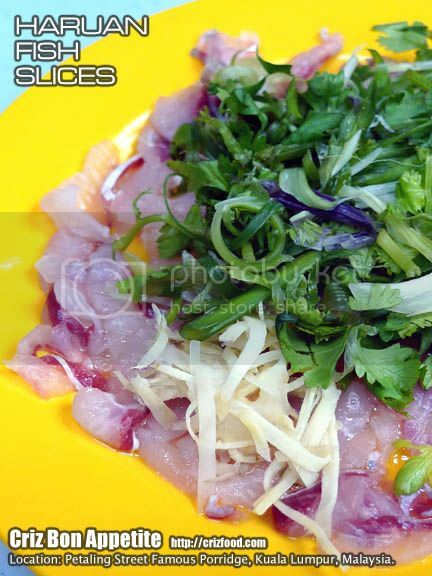 This thinly sliced fish fillet came garnished with some ginger strips, chopped spring onions and Chinese parsley with a dash of sesame oil. 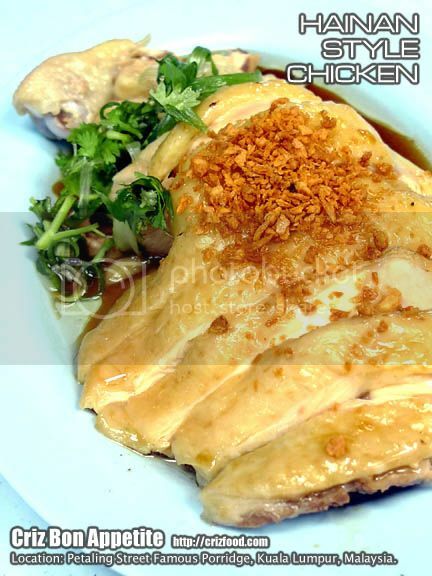 Alternatively, you can go for the Hainanese style boiled chicken (RM12.50nett). It was quite a large piece, considering that it had the drumstick and thigh together. 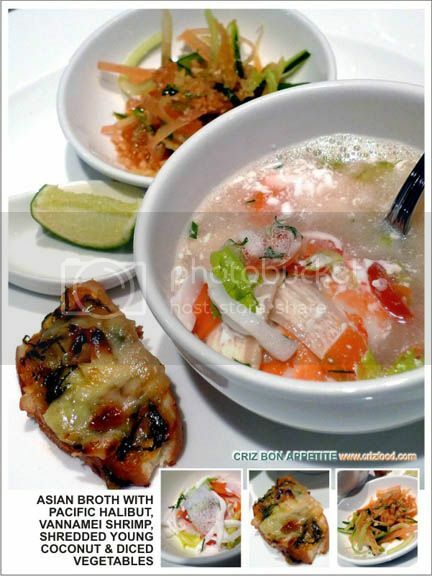 Compared to the fish porridge, this dish excelled better in terms of texture, juiciness and flavors. It came garnished with some chopped spring onions, Chinese parsley, deep fried chopped garlic in oil, soy sauce with a dash of sesame oil. Though a bit pricy compared to Penang’s which would cost around RM7.00-RM8.00nett, it was a flavorful dish to go with the porridge. 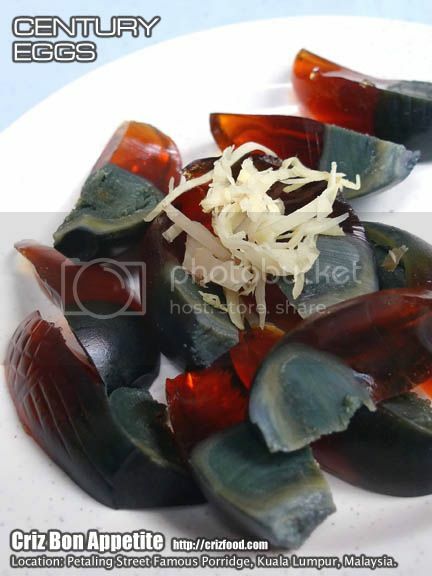 If you feel like having something lighter for breakfast, you can opt for the Century Eggs (RM5.00nett) served with some ginger strips and a light touch of sesame oil. It was rather pricy to have 3 eggs for that price. 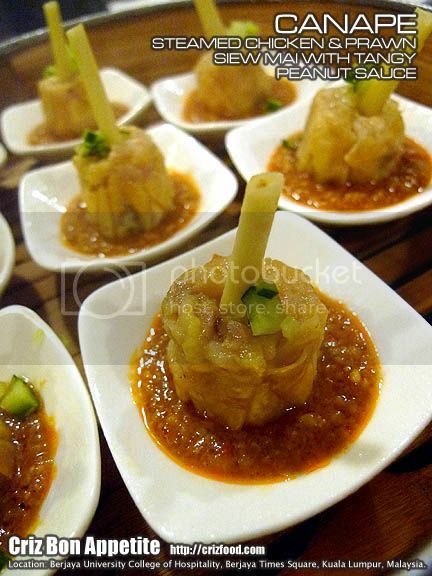 Moreover, pickled ginger slices were not provided for those of us who would want to have them as appetizer. 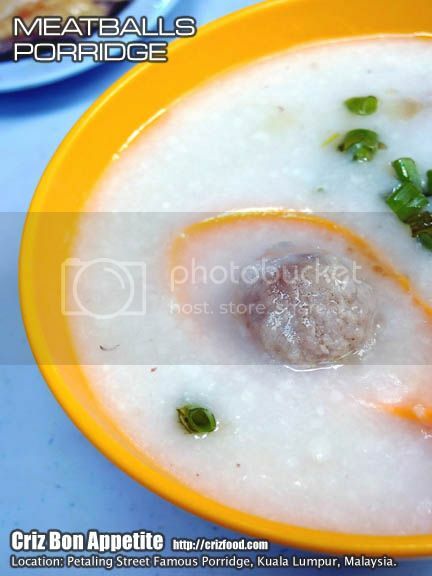 For those who love to have meatballs, their Meatballs Porridge set (RM5.00nett) would suit you well. It was simple yet fulfilling. 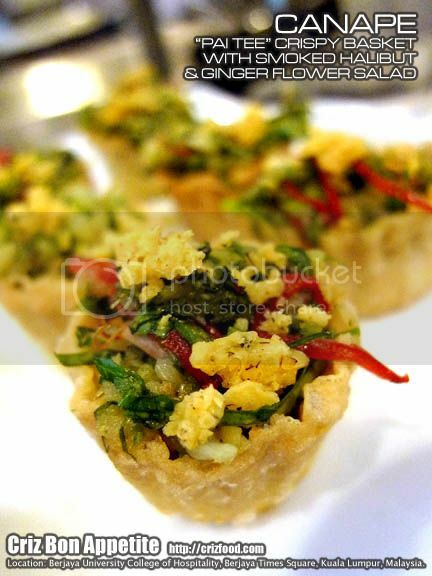 It came garnished with some chopped spring onions, pickled vegetables with a dash of sesame oil. 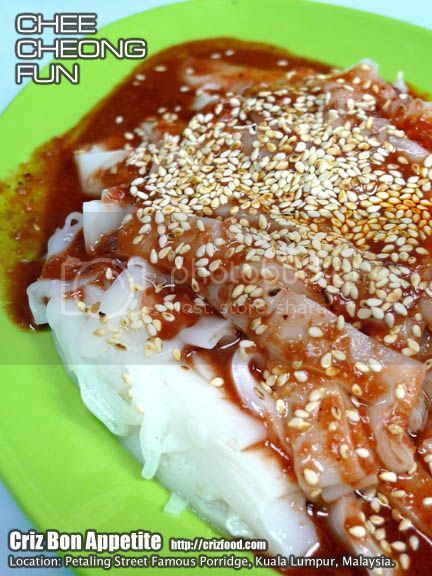 Although the steamed rice rolls had a nice texture, the Chee Cheong Fun (RM5.00nett) sauce somehow did not suit us well since we Penangites are so used to have added prawn paste (heko/蝦膏). The rice roll practically came with red sweet potato sauce and chili sauce with a sprinkle of toasted sesame seeds. Even the chili sauce had no fragrant at all compared to most Chee Cheong Fun stalls in Penang which have the chili sauce sautéed with some chopped dried shrimps. I’ll still go back to my favorite Chee Cheong Fun stall in Penang which has some added peanut butter in the prawn paste sauce on top of the red sweet sauce and chili sauce. 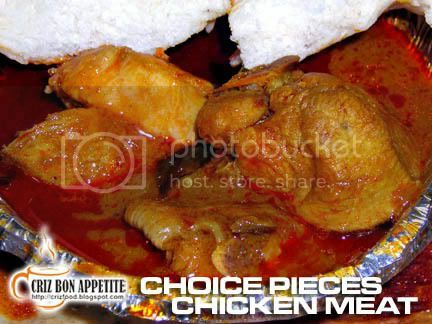 Overall, the dishes served here were a bit over rated by the central region consumers. To us Penangites, those dishes were just average. 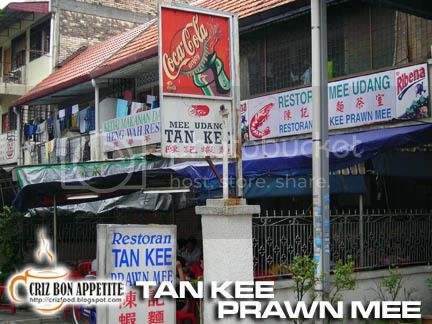 We have more flavorful ones just anywhere surrounding Penang. If not for the odd operation hours, I won’t specially make an effort to patronize this place. 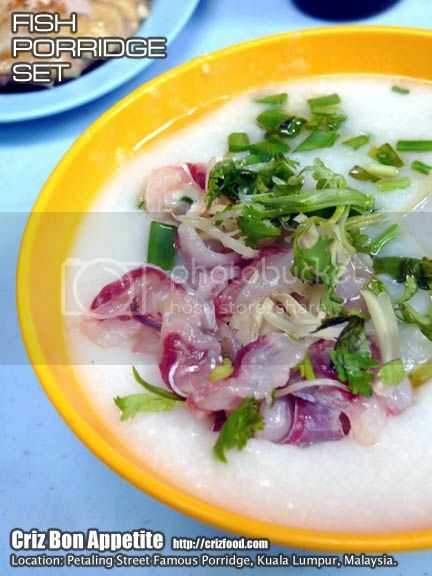 The Petaling Street Famous Porridge is located just opposite the Hong Leong Bank along Jalan Hang Lekir. 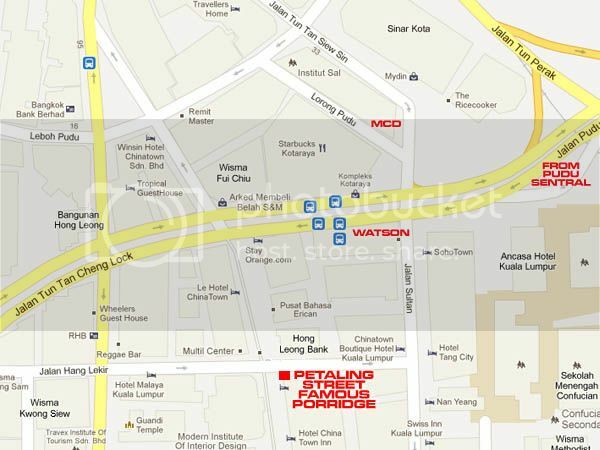 If you are coming from Pudu Sentral towards Jalan Tun Tan Cheng Lock, do watch out for the Watson’s outlet at the junction right after the Ancasa Hotel. Turn left into Jalan Sultan and walk further up until you see a right lane (Jalan Hang Lekir). Turn right in Jalan Hang Lekir and walk further up and you will see the shop on your left almost to the end of the Jalan Hang Lekir/Jalan Petaling junction. 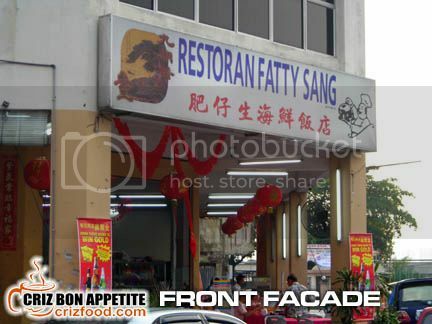 Hidden right into Kepong Baru, Kepong, Kuala Lumpur, is a corner lot restaurant which carries the name Restoran Fatty Sang. This restaurant had become the talk of the residents there as not only were the seafood dishes served there delicious, the pricing was so reasonable that it stunned me as a person coming from the sea surrounded Penang Island. Well, I managed to visit this place with a group of “hungry” friends (9 adults and a kid). LOL! So, do not expect to get clear photos as this was a quick point and shoot food expedition. 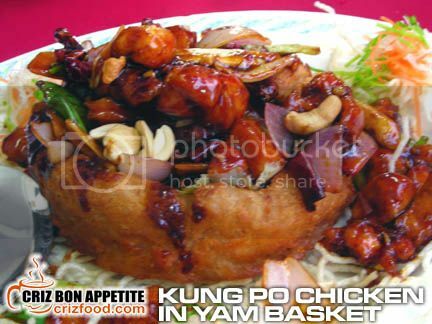 The first dish that arrived was the Szechuan styled Kung Po Chicken in Yam Basket (佛后本宫保鸡丁-RM20). The Kung Po Chicken was amazingly tasty with lots of chicken chunks, capsicum, onions wonderfully stir fried with dried chilies and garnished with a generous amount of cashew nuts. Somehow the mashed steamed yam basket was a bit of disappointment. It could have been prepared early as the inner portion was rather cold and the outer layer lacked the crispiness. 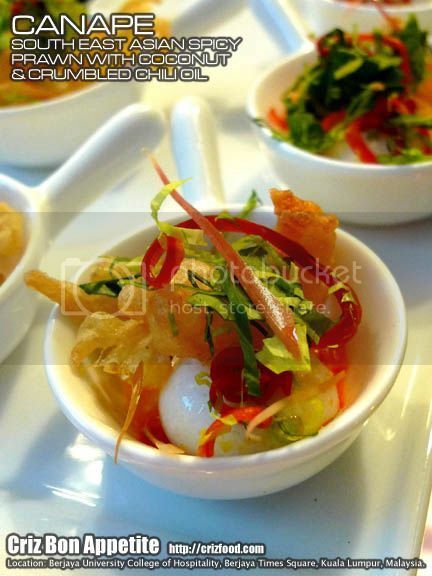 This dish was served on a bed of deep fried glass noodles. 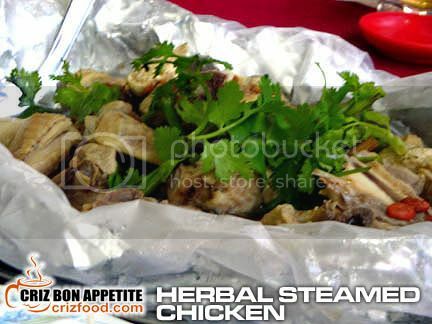 The aluminum foil and cellophane paper wrapped Herbal Steamed Chicken (藥材雞-RM27 for half bird) was real nice as all the herbs had seeped right into the meat, giving each bite a flavorful and herb filled sensation. The portion was large too for half a bird. There were traces of Chinese wolfberries (枸杞/杞子/gouchi), Angelica sinensis (Chinese Angelica root/dang gui/當歸), dried Chinese yam (huai shan/淮山), Codonopsis pilosula (dang shen/poor man’s ginseng/當參), Astragalus root (黃蓍/pak kei), red dates (紅棗), ginger, rice wine and some sesame oil. The next dish which was Stir Fry Broccoli with Fresh Scallops (西蘭花炒帶子-RM25) had the right flavorful gravy to get me to order more rice. 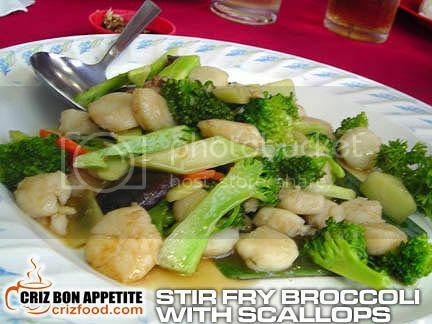 The crunchiness of the broccoli plus the freshness of the fresh scallops, some prawns and Chinese mushroom was indeed appetizing. The size of the fish for the next dish was huge. It was about a foot in length. 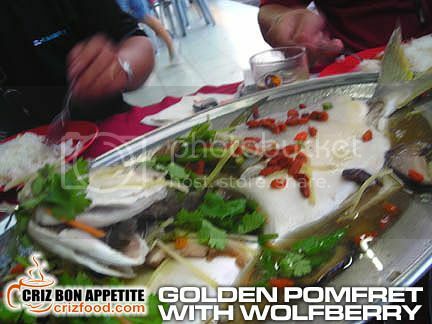 The Steamed Golden Pomfret with Wolfberry (杞子蒸金昌-RM33) was extremely delicious with the right amount of wolfberries, ginger, soy sauce, garlic oil and rice wine. Considering the size and thickness of the fish, I can’t even get this pricing in Penang. It’s real cheap! 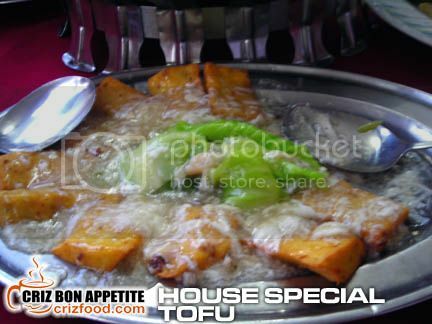 The last dish was the chef’s House Special Tofu (招牌豆腐-RM16). The silky smooth deep fried tofu dish had some added Chinese cabbage and prawns on top of the thick beaten egg white gravy. You should check out this tasty dish as well. Overall, the total bill which included rice and tea came out to RM135.60, an amount that was quite reasonable for the portions and quality of food served. 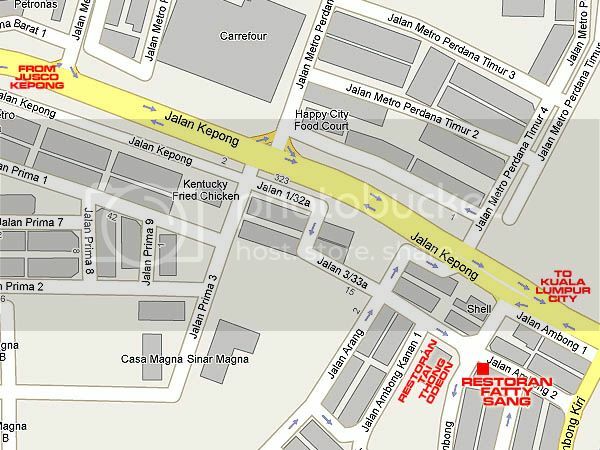 If you are coming from KL City towards Jalan Kepong, watch out for the MWE Kepong Commercial Park on your left. Drive further up and you would see a road on your left. Turn left into Jalan Ambong Kiri and take the second right turning into Jalan Ambong 2. Drive straight until the end and you would see the restaurant at the left corner shop lot. You won’t miss it. There are ample parking spaces along this road. 30 Tingkat Bawah, Jalan Ambong 2, Kepong Baru, 52100 Kuala Lumpur, West Malaysia. 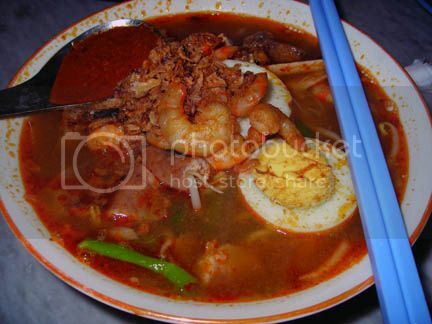 Many people assumed that only Penang has the best Prawn Mee (Hokkien Mee). Well, not necessary true as I had one good one during my trip down to Setapak town in Kuala Lumpur. This stall has been there for some time and remained the favorite of the town folks. Each bowl of the yummy noodles came with a large portion of yellow noodles (options to add in bee hoon), bean sprouts, 4 medium sized prawns, 3 meaty pieces of pork ribs and garnished with lots of fried onions. The soup base is thick and has a mild taste of rock sugar. Each bowl cost us RM7.50 which I do not think was real expensive for the quality and amount served. It is not hard to find the little shop as it is located along Jalan Pahang between Jalan Chan Chin Mooi and Lorong Chow Thye. 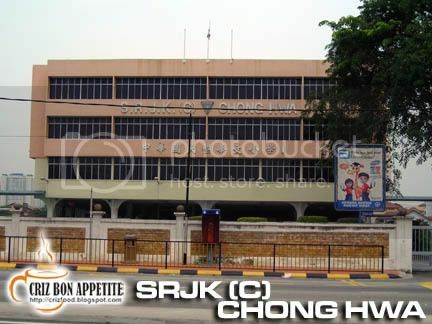 Diagonally opposite on the right was the former Galeria building and on the left is SRJK (C) Chong Hwa. 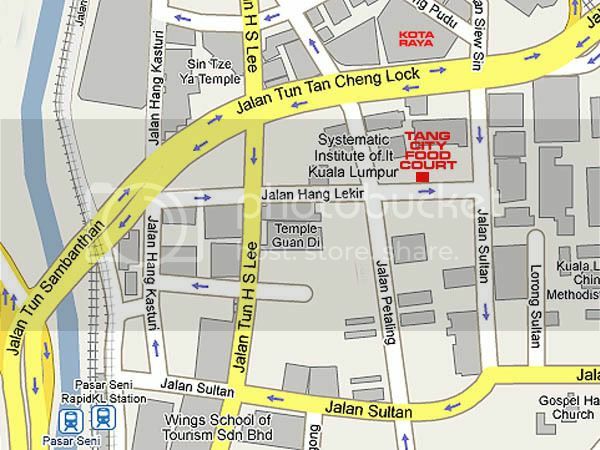 Address: 86-4, Jalan Pahang, 53200 Setapak, Kuala Lumpur, Malaysia. 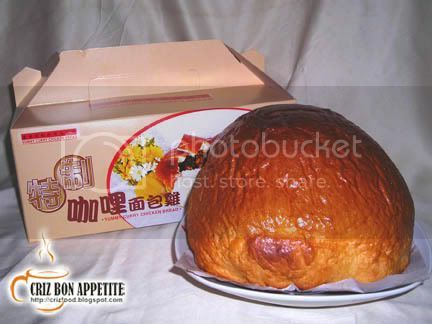 I always thought that I could get the famous Curry Chicken Bread only in Kampar, Perak but I was wrong. As I was moving through the busy streets of Jalan Petling into Jalan Hang Lekir, I came across a stall selling this type of bread right in front of the Tang City Food Court. 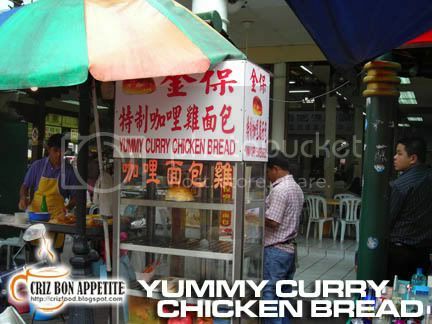 It was called the Yummy Curry Chicken Bread and was selling at RM12 each. Since I was on my way back to Penang, I decided to get hold of one. 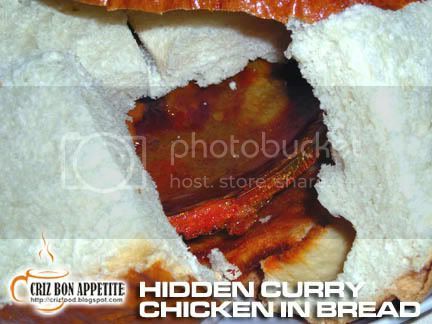 To my surprise when I cut open the bread (quite similar to our Bengali Bread), there was this aluminum bowl filled with curry chicken to the brim with a layer of plastic wrap on top to avoid the gravy from spilling out. 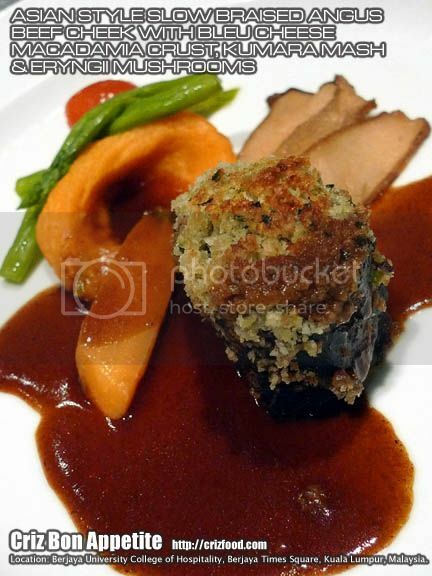 What a great way to maintain the gravy and at the same time avoid the bread from being soggy. There were all together 6 choice pieces of chicken meat in the bread and the thick curry gravy was cooked in Indian style with lots of curry leaves. This new discovery was indeed appetizing. The chicken meat was tender and the spiciness of the curry was just right. One loaf of this dish would be enough to feed two to three person as the bread can be rather filling. Finding the stall would not be hard. Walk into Petaling Street, Chinatown’s main entrance from Jalan Tun Tan Cheng Lock (opposite Kota Raya) and you will reach a crossed junction. 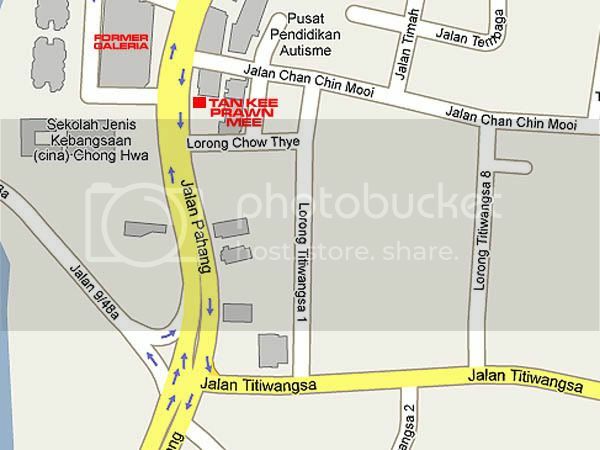 Hong Leong Bank is at the corner on your left. 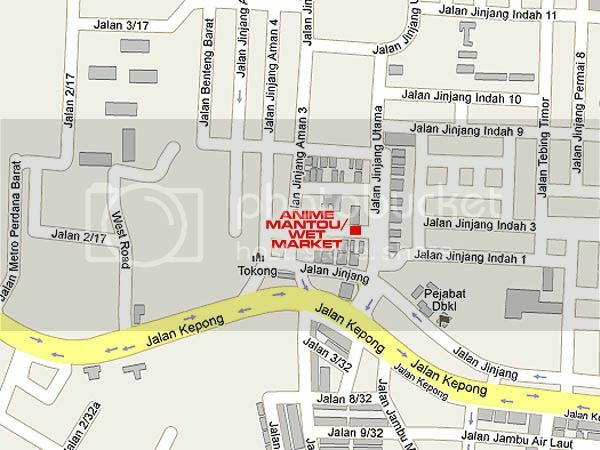 Turn left into the road (Jalan Hang Lekir) and you will the stall just in front of the Tang City Food Court on your left. 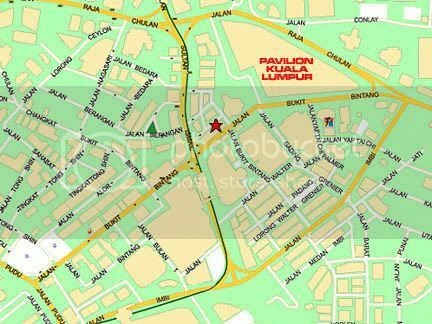 Address: 22-26 Jalan Hang Lekir, 50050 Kuala Lumpur, Malaysia. Petaling Street or Chinatown as most tourists would call is not only a haven for good bargains of items such as clothes, DVDs, watches, bags and shoes. 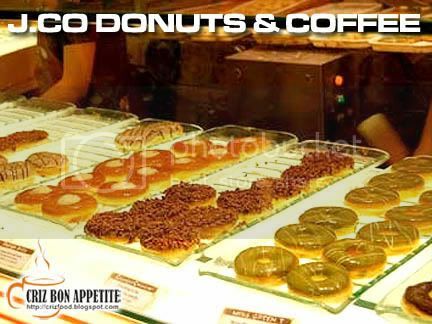 It is also a haven to please your appetite up to the wee hours of the morning. If you know how to explore further into the many lanes and corners of this street, you will discover many delicious hawker stalls hidden from the main shopping area. 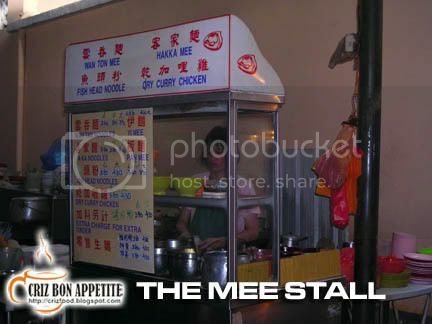 One such stall which I have discovered some years back served the most amazing Hakka Mee and Pan Mee in that area. Not only are the noodle portions quite a lot, they are also cheap. 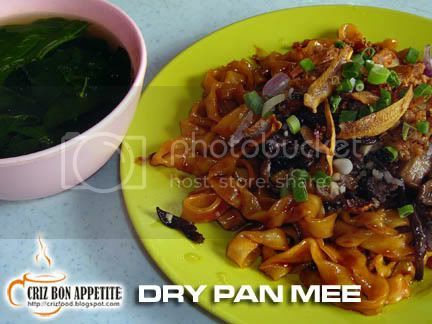 RM3.50 per plate compared to RM4.50 in any of the cafés on the main road. Now you know why I have never stopped visiting this place. 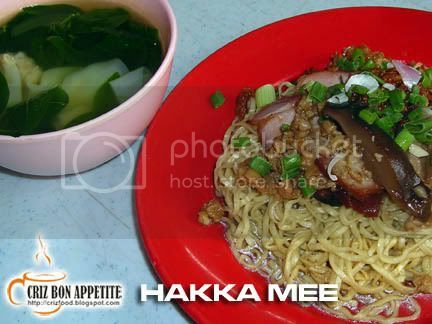 The stall also served many other noodles variety such as the Curry Chicken Wan Than Mee which is just as good. Here are the two noodles which we had ordered. 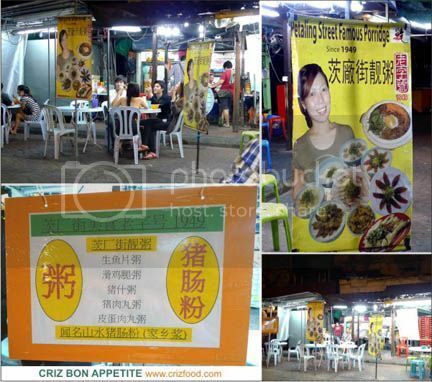 Finding this noodle stall would be quite hard as it is hidden in one of the lanes. If you are walk into Petaling Street, Chinatown’s main entrance from Jalan Tun Tan Cheng Lock (opposite Kota Raya) and you will reach a crossed junction. Hong Leong Bank is at the corner on your left. Turn left into the road (Jalan Hang Lekir). Walk straight up until you see a lane on your right. There will be a shop selling DVD there. Walk inside and you will see the stall. Next to the stall is a Roasted Chicken/Pork (Char Siew) Rice which is just as good.